Hi there! Welcome to this new episode! Today we are talking about DevOp tools we use for all entire DevOp cycle. We started describing and mention some tools we have used here at 4Geeks to build products. Some of them steps we talked about are Plan, Code, Build, Test, Release and Deploy, Operate and Monitor. 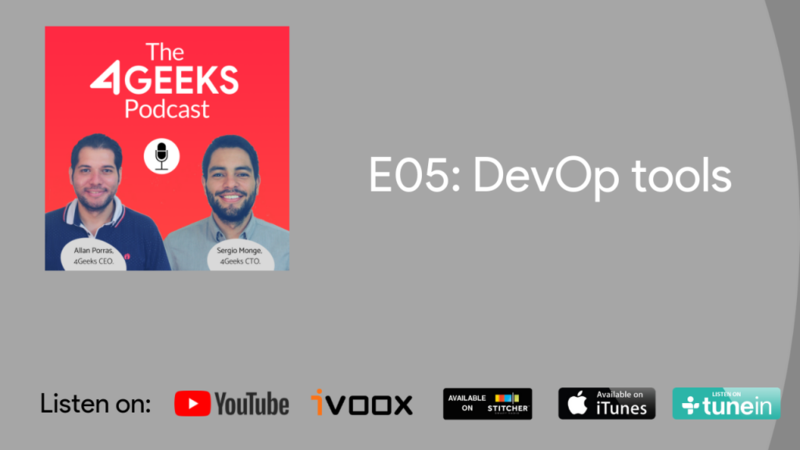 If you are a software engineer, or if you just are dealing with servers, coding and something like that, you will love this episode.